Manchester United are currently under firing which has contributed to why they have had negative results so far this season. They will obviously not lose any opportunity to land a solution in the team. Belgium international Romelu Lukaku and Chile forward Alexis Sanchez are both in very poor form and have failed to help their side to win games which makes it necessary for new faces at the club. 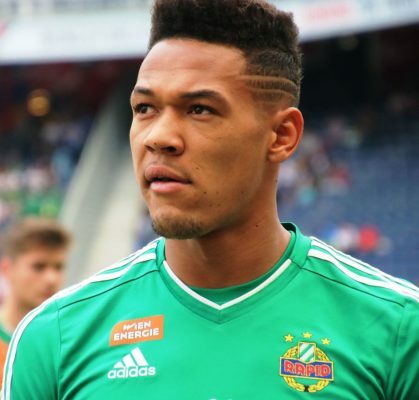 Although manager Mourinho has stood behind the Belgium man, he is also seeking to add more legs to the team with Hoffenheim striker Joelinton being linked. United no longer convinced about £31m top target? Joelinton has scored a total of 5 goals with 5 assist for his side in all competitions this season and has been tipped to succeed at the Old Trafford. With his impressive performance, it will be difficult for United to convince the German Bundesliga side to release the player but with an attractive offer, they could be forced to do some business. United are hoping a deal for the player can be completed as early as in January when the winter window reopens as they are reported to have their bid already prepared for the player. However, the Red Devils are suffering a worse fate of poor form as they have had an inconsistent performance this season.